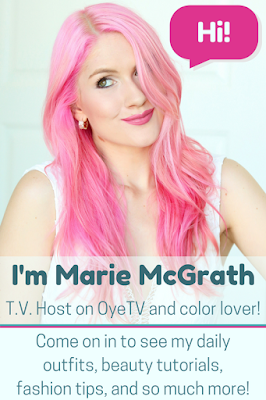 This is the very first outfit post I make after my amazing trip to Orlando! YAI! I love all of the red in this look. Such a great dress! Love the hedgeog purse soso much! P-E-R-F-E-C-T... Simple, girlish, soft, flattering.... loved SO much, I want this dress!!!! The purse is super cute and I like your dark hair. Love this outfit, Marie. And the hedgehog clutch is so cute! I am in love with your shoes, you can combine those with almost any outfit! That hedgehog bag... oh gosh, how cuuuute is that?! I love how the little studs make up his spines. Too adorable oh goodness. The best outfit EVER.... Super Girly, Flattering, simple and fresh!!!!!!!!!! I nedd a dress like this, the pattern and shape are both perfect! Aaaaww, thank you Cynthia!! Yeah, I fell in love with this dress when I saw it on eBay. I thought: "A dress with Apple print?!?! Yes please!!"... haha. Thank you Kimberly!! 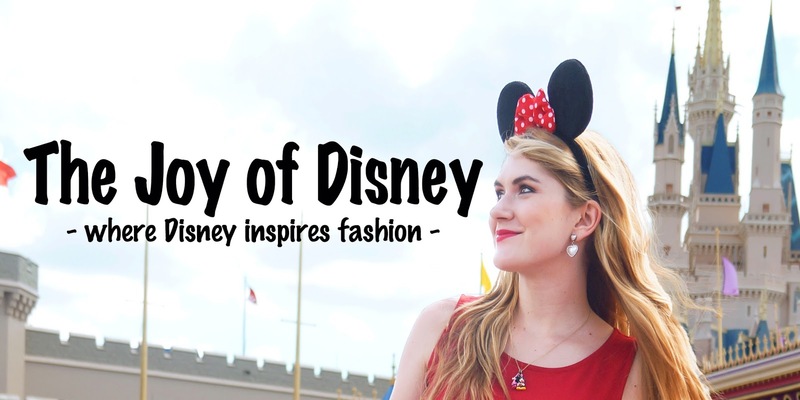 I was worried that my readers wouldn't be interested in the Disney trip since it isn't so fashion related, so it really makes me happy to hear you enjoyed it! Thank you! Hi Ali!! 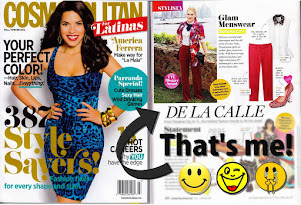 Yeah, its nice to get back to what this blog is REALLY about: Fashion! hehehe. Thank you so much for always writing such thoughtful sweet comments, I really appreciate it. Thank you so much Amaya!! 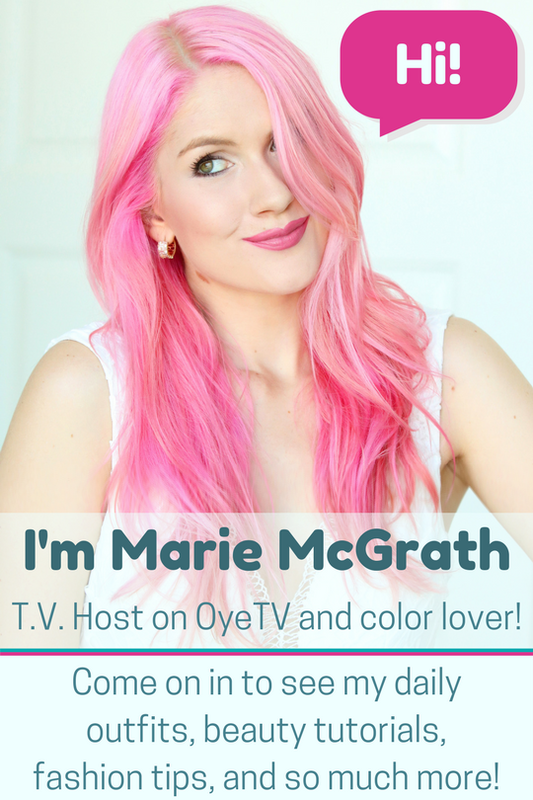 It makes me happy to hear you are following me now, YAI! Hahahahaha, that is exactly how I felt when I saw it on Asos.com. I couldn't stop myself from immediately adding it to my cart and checking out... haha. Thanks for stopping by Lyddie! Thank you Heidi!!! I love wearing red! Me ntoo Barbara!! I want to wear it every day now! ahahaha. Thanks for stopping by! Thank you Simona!! I'm so glad to hear you follow me now, that is fantastic. Thanks! I know right?!?! 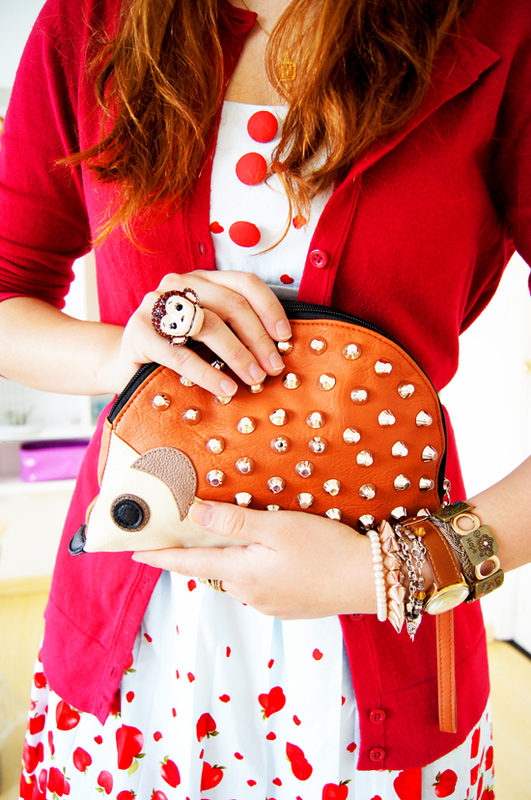 This hedgehog clutch is definitely the center of attention in this outfit. Thanks for stopping by!! this apple dress was how i found your blog however many years or long ago it was. that purse is precious too. Really!?! Thats awesome, I had no idea this is how you found my blog! hehehehe. Thanks Teddi!